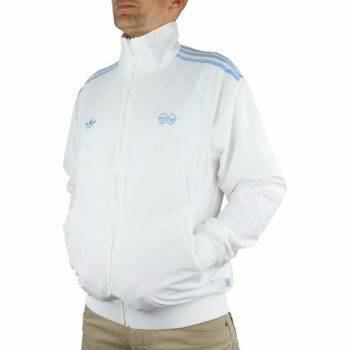 Applied 3-Stripes on the shoulders, while Trefoil and Krooked logos are embroidered on the chest. All over tonal print shows off the Gonz's unique style and artistic direction. 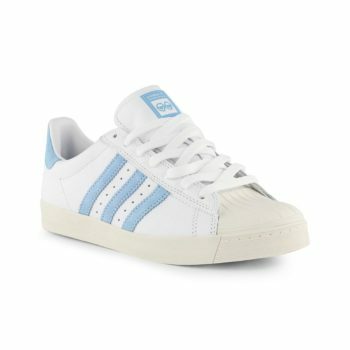 The Adidas Superstar Vulc is one of the brands most iconic sillhouettes and is an '80s court classic that has been slimmed down and made lighter for true skateboarding performance. Limited edition collaborative release available in limited numbers. Artist and skateboarding legend Mark Gonzales ads his unique design flair to the iconic Adidas Superstar sneakers. Designed in collaboration with Krooked Skateboards, these shoes stay true to the classic design with a leather upper and a classic shell toe. The vulc outsole provides improved flexibility and board feel, while the classic Adidas tread pattern promotes increased grip. The drop-in Adiprene sockliner (insole) adds a lightweight cushioning system that promotes board feel. Adidas Skateboarding x Krooked label on tongue and embroidered Krooked branding on the heel tab. 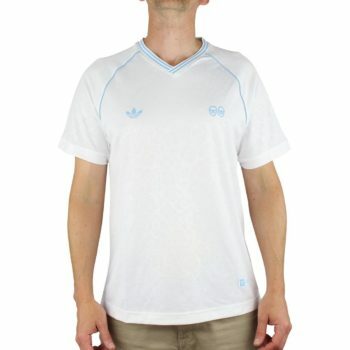 Fit: Adidas come up slightly smaller so we advise taking half a size up.